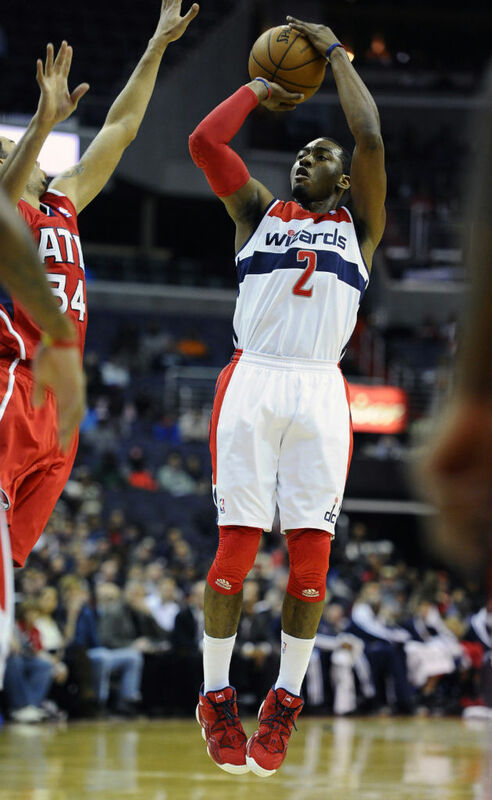 Wall's return in adidas helps lift Wiz to rare win. 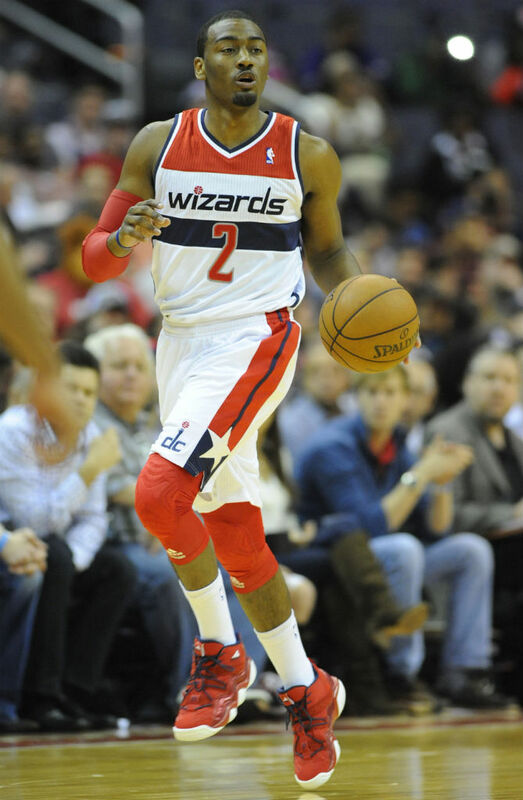 After missing the early part of the season recovering from an injured left knee, John Wall made his '12-'13 debut for the Washington Wizards Saturday night against the visiting Atlanta Hawks. 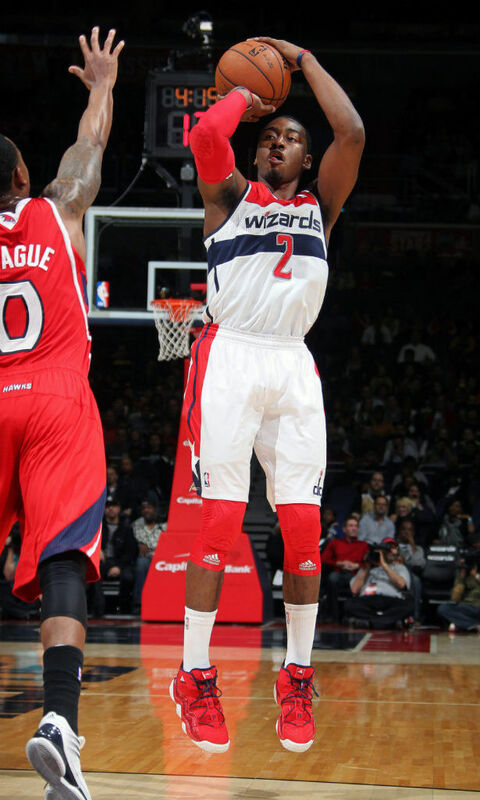 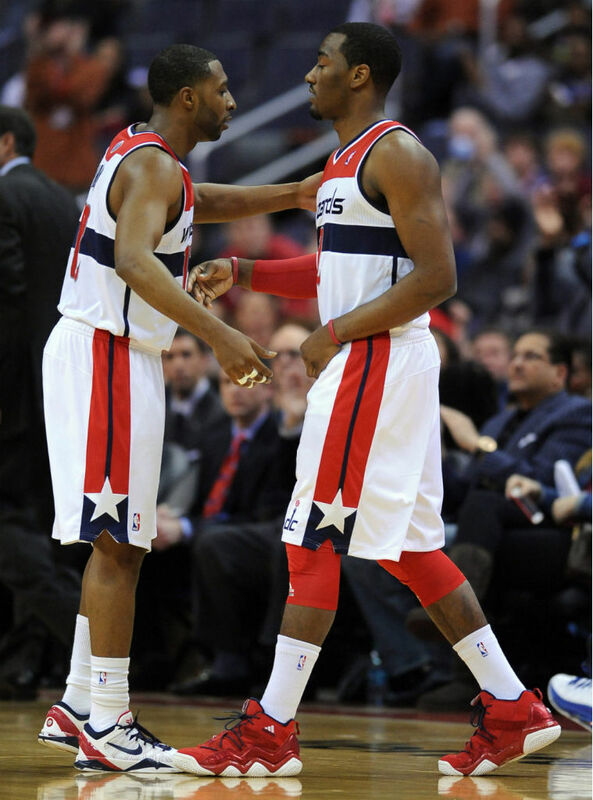 In 21 minutes, Wall scored 14 points and dished out 4 assists to help propel the Wiz to a 93-83 upset win. 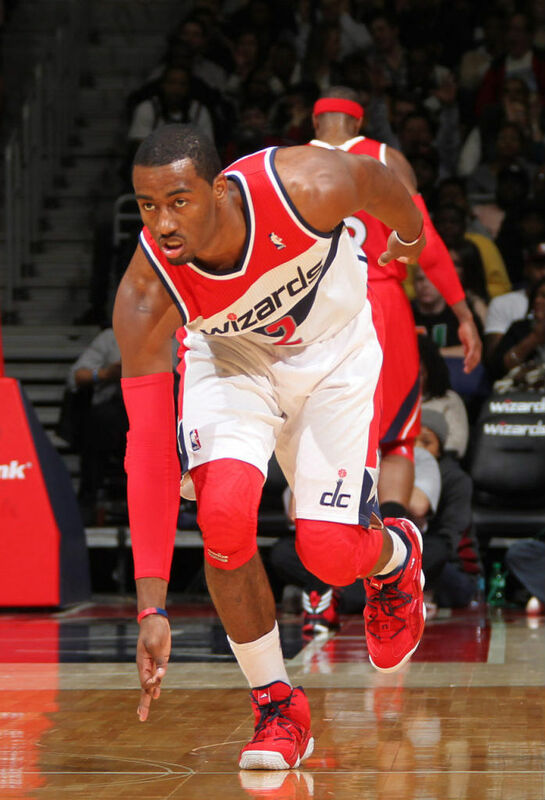 Saturday was also Wall's debut for adidas Basketball after a multi-year deal was announced earlier in the week. 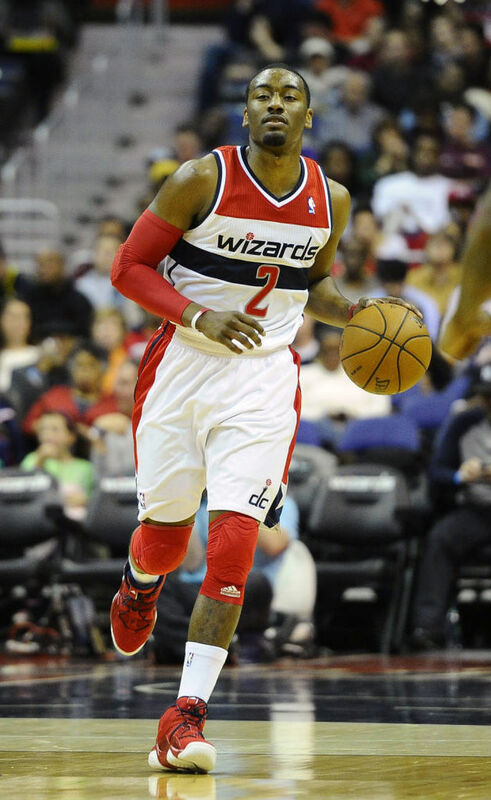 As he did in practice, Wall laced up the Top Ten 2000 in Light Scarlet/White/Navy, which conveniently lines up with the Wizards' team colors. 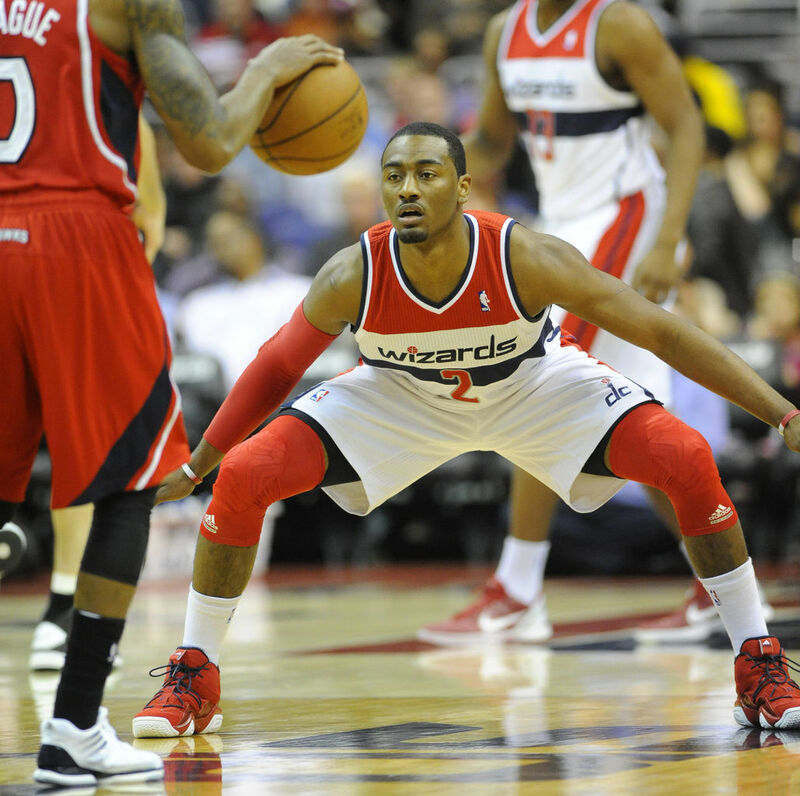 You can still pick up a pair now at retailers like Eastbay. 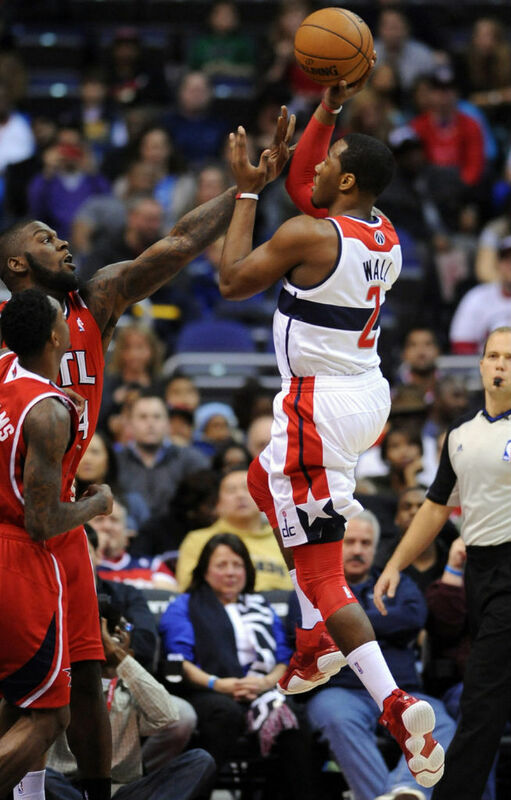 Read on for several game shots from Wall's season debut in adidas.